GRAYLING, Michigan – Blarney Stone Broadcasting’s WGRY AM-1230 has become WMQU AM-1230 after a partnership with Baraga Radio. 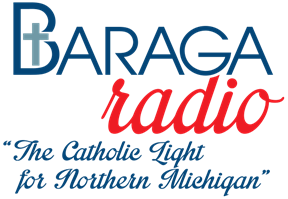 Baraga Radio – The Catholic Light for Northern Michigan – will lease the station for seven years. At the conclusion of the contract on Feb. 28, 2023, BSB will donate the FCC license and transmitting equipment to Baraga. “People may know us for our world-class rock station and our sports talk station, but we’re thrilled to join Baraga and help expand faith-based radio in Northern Michigan,” said Sheryl Coyne, president and CEO of Blarney Stone Broadcasting. “We’re extremely we’re proud to show yet another aspect of our commitment to this community. 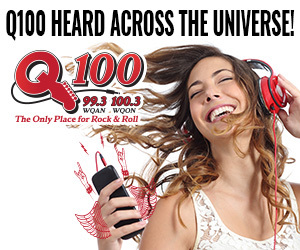 On Jan. 15, the call letters changed to WMQU (Mary Queen of the Universe); the format change will be effective on March 1.
programming that aims to engage its listeners and encourage them to live out their Faith in Jesus Christ. “We are so excited to be able to bring Catholic radio to the people of Grayling and the surrounding communities,” said Therese O’Brien, general manager of the Baraga Radio Network. “We have been overwhelmed by the positive interest received from all of the local Catholic churches. Baraga Radio will be a spiritual boost and a light in the darkness for these souls and for the many visitors to our area.” For more information about Baraga, visit: thecatholiclight.com. Blarney Stone Broadcasting, co-owned by Sheryl and Jerry Coyne, operates:WQON (100.3 FM) Rock & Roll – 60,000 watts (Detroit Lions, University of Michigan Football and Basketball, Grayling Viking Football and Basketball); WGRY (101.1 FM) YOUR Sports Talk Station (Detroit Tigers, Detroit Red Wings and Detroit Pistons) and effective March 1, WMQU AM 1230 – Baraga Radio (The Catholic Light for Northern Michigan). Blarney Stone Broadcasting assumed ownership of the three stations based in Grayling on Oct. 2, 2012. Blarney Stone Broadcasting is a community orientated media resource in Northern Michigan dedicated to providing local information, entertainment and promotions focused on the needs of the audience and the businesses that serve the audience. With more than 28 years of experience in broadcast and marketing, Blarney Stone Broadcasting is committed to growing local business in Northern Michigan.